Security suite is what some end-users would like to use to save money and reduce the task in maintaining protection tools. 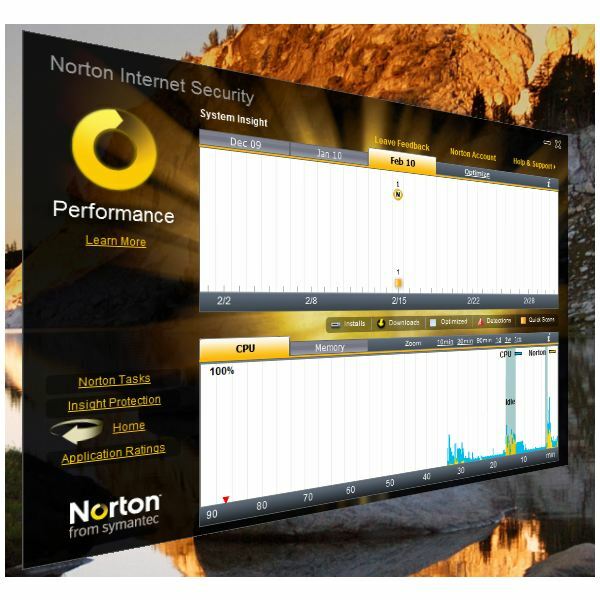 Read this Norton Internet Security 2010 review to determine if the product is worth buying. 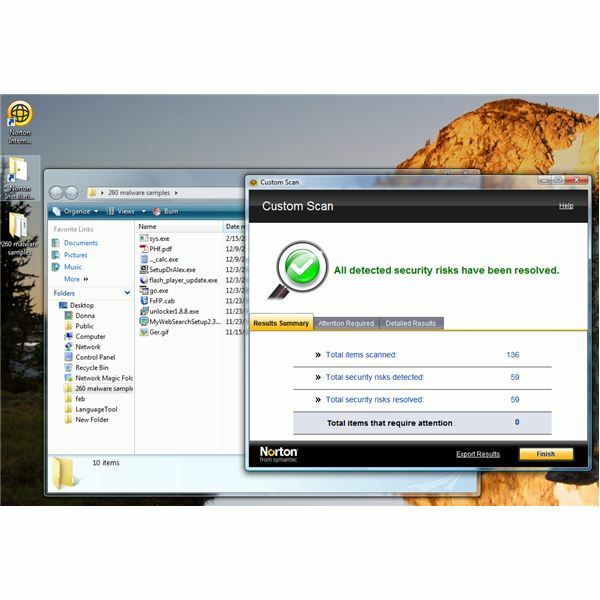 Norton Internet Security 2010 offers better performance using its Norton Insight, better detection with its SONAR 2 and reputation-based defenses and better web protection with the help of its Download Insight and Safe Web. The program has received good rating by software reviewers and also gained praises from customers of Symantec. A one year subscription of Norton Internet Security 2010 costs $70 for 3 PCs. Core Protection: Malware protection, rule-based firewall, fast scans and pulse protection updates. Advanced Protection: Cloud-based protection, Download Insight, exploit protection, creation of bootable recovery tools, heuristic detection, anti-spam protection and optional parental and privacy controls. Identity and Networking Protection: Network map, Wi-Fi protection, anti-phishing, malicious and fraud URL protection. NIS 2010 will run on XP, Vista and Windows 7 operating systems. The phishing and exploit protections only work when using Internet Explorer and Firefox browsers. Installing NIS 2010 will not bore you. It can finish installing in one minute to start using the protections it provides. The installer will add browser add-ons for Firefox and IE but the add-ons of NIS 2010 v17.1.0.19 are not compatible in Firefox v3.6 . A program update is required after installation which requires computer restart. The toolbar by Norton provides Safe Web protection to warn about unsafe websites. 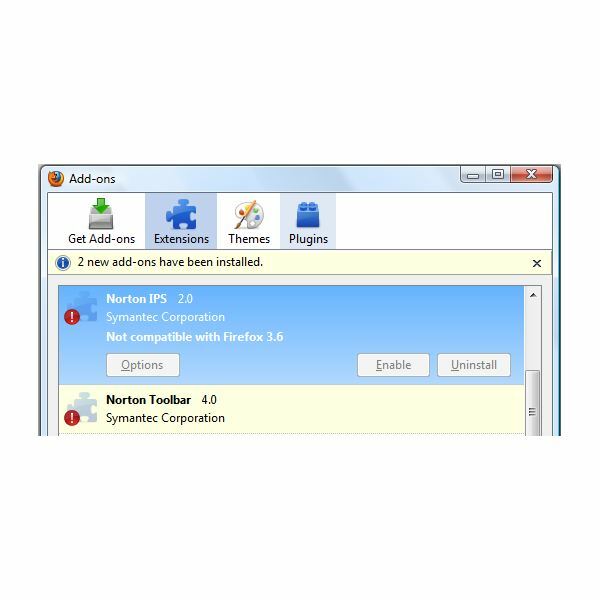 The Norton Safe Search feature in its toolbar is disabled by default because most end-users have voiced their concern to Symantec for adding an unnecessary third-party search assistant. The Safe Search protection, if enabled, will add the search assistant from Ask.com and a status rating on the search results. The program will use 129MB of hard-disk space but will increase if you will install the optional parental and privacy controls. To get these features, you have to sign-up for OnlineFamily service or by downloading the Norton Add-on Pack. The RAM usage of NIS 2010 is 8.3MB, while the scanner will use 4MB of memory. Like most antivirus program, NIS 2010 provides several types of scan options: a quick, full, context menu, custom and idle scans. Oddly, the option to turn-off idle scan does not work. The program will continue to run a quick idle scan, even if you’ve chosen to disable it. Quick Scan has finished in 33 seconds with 6,401 items scanned. The system drive scan has finished in 36 minutes with 394,302 items. Unlike the previous versions of Norton Internet Security, the 2010 edition does not have a handy command to block the Internet traffic. This option is only available from the settings menu. The user interface of NIS 2010 is neat, easy to use and allows the use of flip commands to switch between System Insight and Norton Insight. The menus in configuring the program will not scroll using your keyboard so you will need to use your mouse to navigate to the many settings. Also, in earlier versions of NIS 2010, you had the option to preview the program updates to download, but not anymore in NIS 2010. If you manually run the program update or if the scheduled program update occurred, the updates are automatically downloaded and installed. You can only check what was installed after it finished with the installation. This update mechanism is not attractive to users who want to be in control on what program updates to download, especially if there is a glitch or bug in the released updates. To test the real-time protection against malware, I transferred 260 positive malware to the computer. Norton has blocked and quarantined 192 malware but allowed 68 to be stored in the computer. That’s only 75% of protection by its real-time protection engine. To test the on-demand scan engine by Norton, I allow it to scan the 68 malware samples that the real-time protection engine has failed to block: Norton’s on-demand scanner has deleted 58 out of 68 malware and only leaves the system unprotected against 10 malware samples. 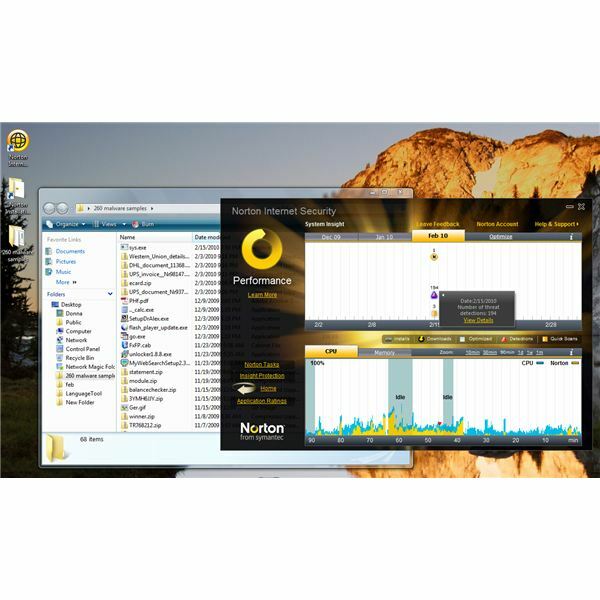 Overall, Norton’s malware detection and prevention can offer up to 96% protection. Norton Internet Security is worth buying for it offers advanced protection against malware and also provides the protection that most end-users need to be protected against the latest threats on the web. Highly recommended if you want to use an Internet Security suite!